Catfield is a long narrow parish aligned east west in the Broads in eastern Norfolk. The village is first mentioned in the Domesday Book and its name comes from Old English meaning, ‘open land frequented by wild cats’ or ‘land owned by Kati’. 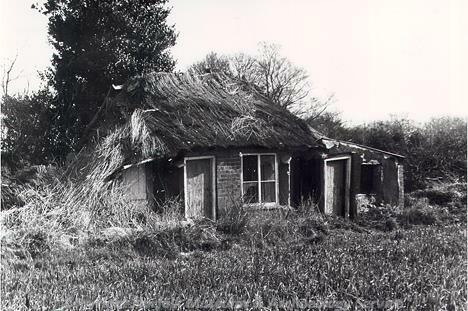 The parish is dominated by the surrounding Broadland landscape and consequently the archaeology reflects the struggle to maintain drained farming land including many pumps, mills and peat and clay extraction sites. The earliest activity in the parish dates to the prehistoric period. In addition to general scatters of prehistoric burnt and worked flint (NHER 32151, 33995 and 33996) that reflect activity in the area the earliest dated piece of flint is a Mesolithic core (NHER 23410). There are a considerable number of Neolithic finds including a Neolithic chisel (NHER 8321) a Neolithic axehead (NHER 8322) and a Neolithic knife blade (NHER 23410). The Bronze Age palstave (NHER 8387) dredged out of Hickling Broad dates from the same period as a number of round barrows (NHER 8330, 11669 and 11671) that can be seen on aerial photographs of the area. There are significantly fewer finds dating to the Roman period. Several small scatters of Roman pottery and metal finds (NHER 22615, 33994, 40862 and 40989) were recovered during the construction of the Bacton to Great Yarmouth gas pipeline and by metal detecting. A possible Roman site (NHER 35525) has also been identified from aerial photographs. Roman coins (NHER 22232 and 8330) have been found at several spots in the parish. The only evidence for Saxon activity is several scatters of Saxon pottery (NHER 23410, 32151, 40336 and 40862). There are more archaeological remains dating to the medieval period. These include Hickling and Crome Broads (NHER 8387 and 13511) which were made by medieval extraction of clay and peat. All Saints’ church (NHER 8338) in Catfield was built in the 15th century but probably stands on the site of an earlier church. It includes some rare and interesting wall paintings and a painted wooden screen. Medieval pottery and metal finds (NHER 12455, 31344 and 33999) are spread around the parish – probably by agricultural activity during this period. The post medieval archaeology of Catfield is dominated by drainage sites and we see a gradual change from the use of wind pumps (NHER 8337, 8396 and 15935) to more modern drainage such as steam and electrical pumps. The parish also had its own postmill (NHER 15444). Catfield Hall (NHER 8339) is a 17th century building with a landscaped park and agricultural complex, whilst the few surviving local 19th century puddled clay and reed thatched buildings (NHER 15993) common to the Broads are also of interest. The modern water tower (NHER 40222) was the first water tower in Britain to be made as a concrete shaft. Megan Dennis (NLA), 14 September 2005.
http://www.butterfly-conservation.org/reserves/catfield_fen/. Accessed 15 February 2006.
http://www.norfolkchurches.co.uk/catfield/catfield.htm. Accessed 15 February 2006.
http://www.paintedchurch.org/catsteph.htm. Accessed 15 February 2006.
http://www.norfolkmills.co.uk/Windmills/catfield-postmill.html. Accessed 15 February 2006.